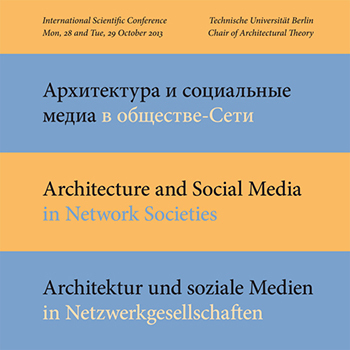 The international scientific conference ›Architecture and Social Media in Network Societies‹ took place at the Institute of Architecture on 28th and 29th of October 2013. The conference dealt with the mutual relationship between architecture and social media. The participants from Russia, Italy, Belgium, and Germany represented the fields of architecture, theory of perception, communication sciences, semiotics, psychological anthropology and visual communication. The conference was organized by the Chair of Architectural Theory.